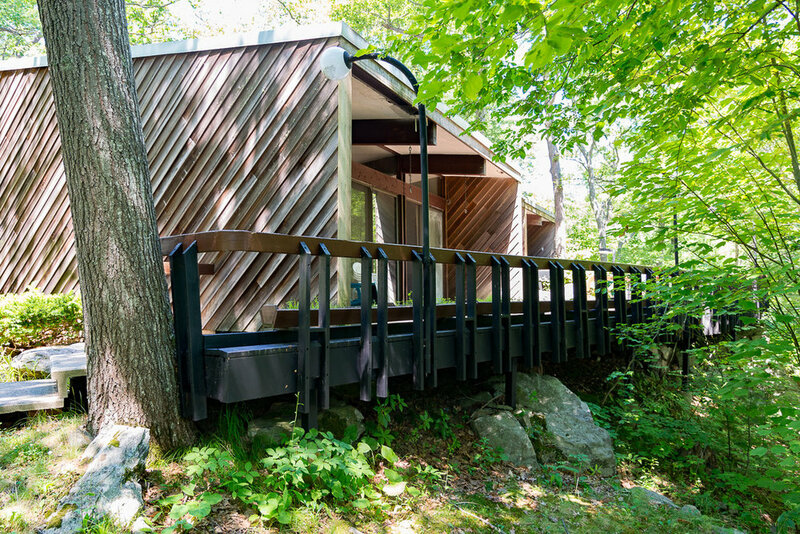 Built in 1972 as his personal family home, Maine architect John Leasure incorporated a classic Midcentury Modern design into the rocky, hillside terrain of Littlejohn Road in Cape Elizabeth. You may be familiar with Leasure’s work—he also designed the South Portland Public Library, constructed 1966, Franklin Towers in Portland, constructed 1969, and other midcentury buildings in the area. Landmarks: What first attracted you to this home? What made you decide to move forward with this project? Laurel: We had been searching for a midcentury modern home for a while and there aren’t many in Maine! But when we first saw this one, it was love at first sight. The way the house is situated on the site, the soaring spaces and the midcentury elements made us decide it had to be our home. It also had a couple of other ‘must haves’ from our list - a two car garage and a large workroom for my SoPo Cottage business. The living room once featured a custom koi pond! One of the defining features of the home is the wall of east facing windows, composed entirely of sliding glass doors leading to the split-level deck. 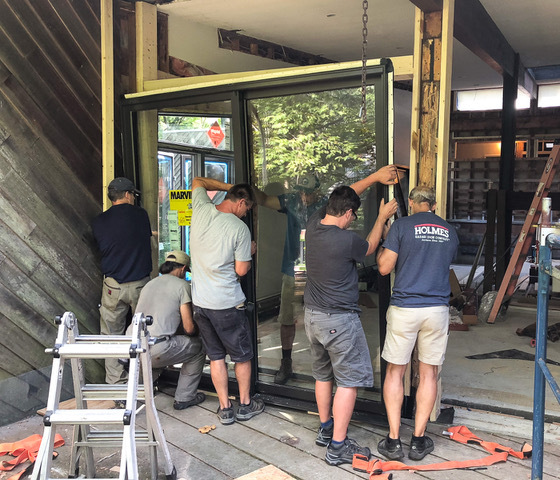 Restoring the original doors proved challenging and costly, so Laurel worked with Marvin Design Gallery by Eldredge Lumber to find replacement windows that stayed true to the original architecture. 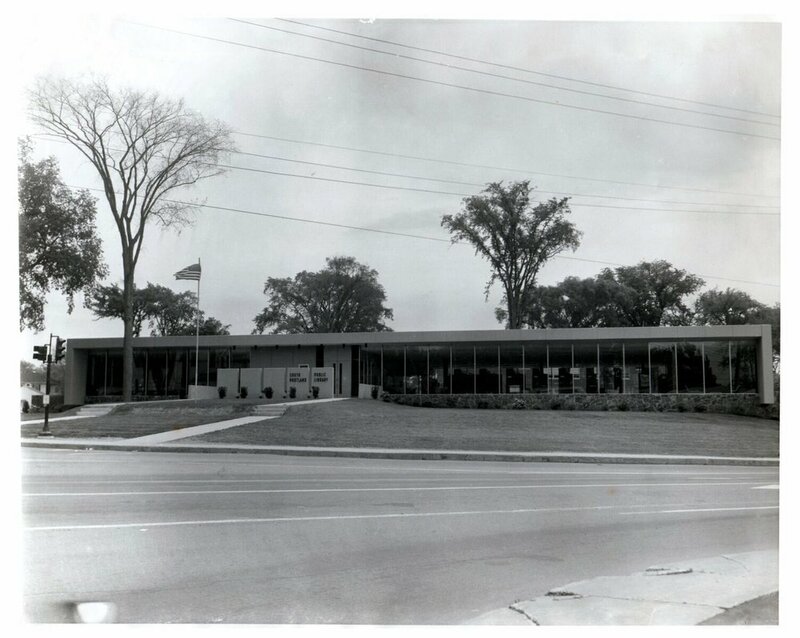 A sponsor of the Trade Show and longtime supporter of Landmarks, Marvin Design Gallery prides itself on working with customers to stay true to their vision for their older home, and in this case, the original vision of the architect as well. Landmarks: How did Marvin work with you to bring forth your designs and ideas? Did you encounter any installation challenges? Laurel: We really wanted to maintain the design intent of the original architect as we updated the house. So when we started our search for replacement sliding doors and windows, we quickly discovered Marvin Windows had the perfect solution. They offered almost direct replacements of the originals, but with far more energy efficiency! Installation was tricky because of the large size (8x8’ square each), but we really appreciated all the support with questions as we installed them. And did you see the hardware? The slider handles are sleek and stylish - we love them! Laurel has a knack for finding furnishings and décor that echo the home’s modern architectural elements. From midcentury dining chairs sourced at a garage sale, to “Ziggy Stardust” tile installed prominently in the kitchen, she’s not cutting corners when it comes to design—and not afraid to take risks in the process. Landmarks: There’s so much to choose from when it comes to furniture, lighting, and home décor, it can be overwhelming. How do you stay on track with your theme? What’s been one of your favorite design solutions so far? Laurel: It was a bit intimidating to pull together the entire home at once, with a lot of 3 am ‘wake ups’ as I grappled with all the different options out there. I was so grateful to all the local companies that helped me move forward. Home Remedies, a sponsor of the Old House Trade Show and a long-time favorite of mine, helped me source some fantastic mid-mod wallpaper for the mudroom and the powder room (and it was so much FUN to use metallic papers!). They also have a fabulous line of mid-mod style toys that are perfect for the grandkids bunk room. 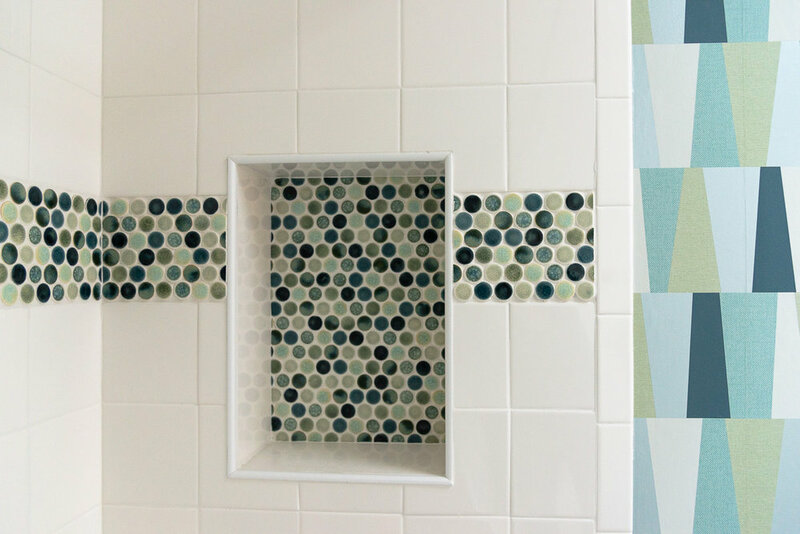 Laurel: I found amazing penny tiles from Distinctive Tile and Design for the family bath, and Maine Paint had the perfect complimentary wallpaper that ties the coastal color scheme together. Everyone that goes in the bathroom comments on how well they work together. Distinctive Tile and Design also provided fantastic 3D tile that we plan to install in the den’s fireplace. Penny tile by Distinctive Tile and Design and wallpaper provided by Maine Paint come together perfectly in a coastal color scheme. Both companies will be exhibiting at the 2019 Old House Trade Show. ﻿Laurel: I agonized over tile for the kitchen. We wanted something with a bit of a ‘wow’ factor that would highlight the mid-century styling. Old Port Specialty Tile Co. helped me find a Walker Zanger tile called ’Stardust’. 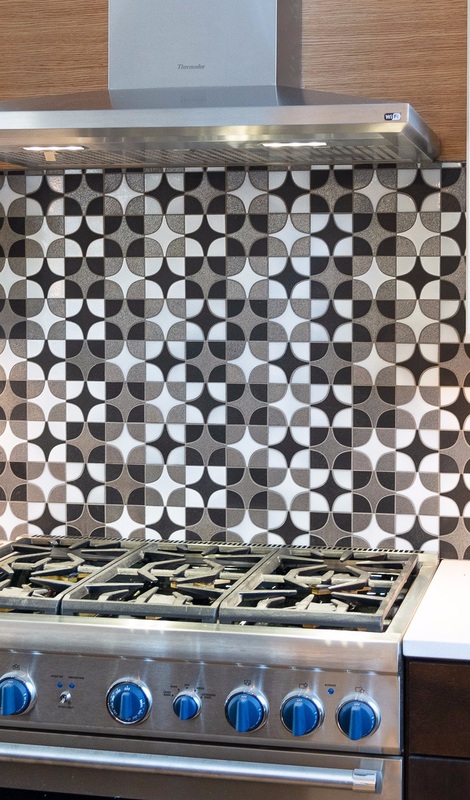 We like the tile, but when we learned it’s named after David Bowie’s Ziggy Stardust - circa 1972 just like the house - we knew it would be perfect for the inset behind the stove. Landmarks: You know 18th and 19th century homes best. 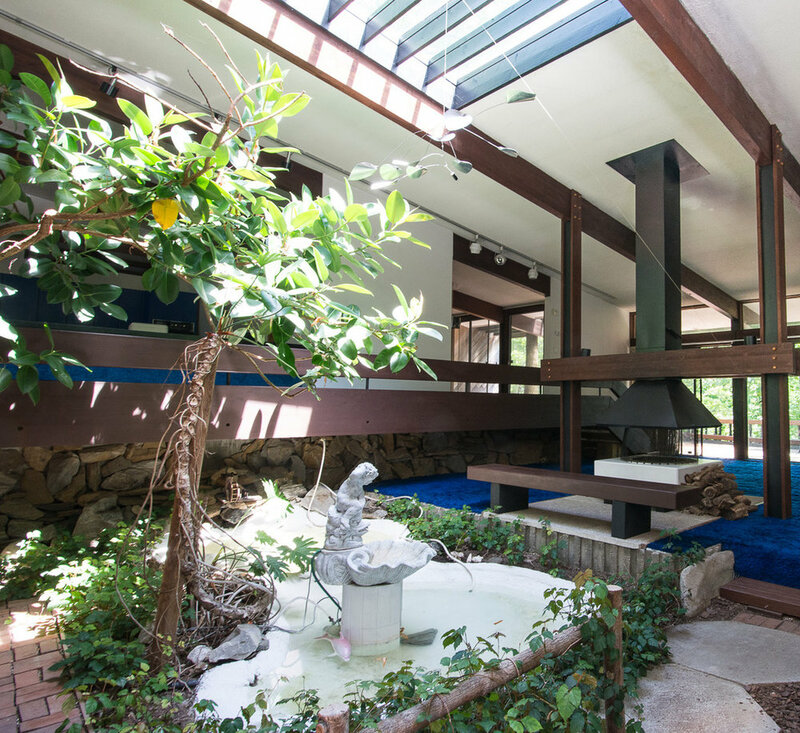 What has been the biggest difference working on a midcentury home? What resources have helped you in this less familiar territory? Laurel: We’ve renovated two dozen old homes over the years and feel like we have good knowledge of many architectural styles. But mid-century was new to us and we wanted to get it right, so we reached out to James Schwartz, a board member at Maine Preservation, for advice. 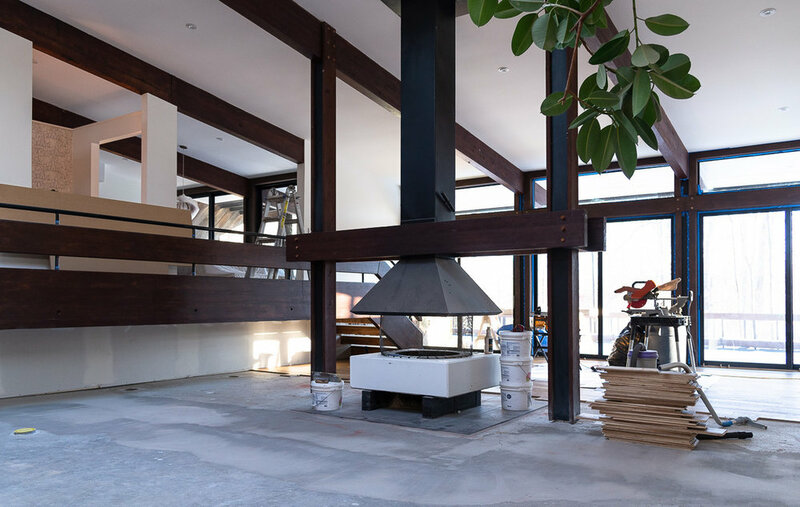 Our goal was to maintain the architectural intent of the home, but we needed to meet current building codes and make some changes to support our family. With his help, we identified key elements of the home (the diagonal siding on the exterior, the ‘bubble’ window, and the soaring, open spaces of the interior) that needed to be retained. We all recognized that some changes were required - for example, the bedroom windows needed to be enlarged to meet fire code. It was good to understand that we could make some updates, without compromising the mid-century styling of the original home. You can learn more about Laurel’s Midcentury Marvel at Greater Portland Landmarks’ 2019 Old House Trade Show on March 30th and 31st, where she will be sharing her process and answering any questions from visitors in a ‘show and tell’ style workshop. You can find more of her work and past projects at sopocottage.com, and across her social media channels as @sopocottage. Also be sure to check out our sponsor Marvin Design Gallery by Eldredge and Home Remedies, and exhibitors Maine Paint, Dinstictive Tile and Design, and Maine Preservation at the Trade Show—for expert advice and guidance on all of your home projects. All images generously provided by SoPo Cottage, LLC. Interested in exhibiting at the show? Learn more about sponsorship and booth opportunities here.